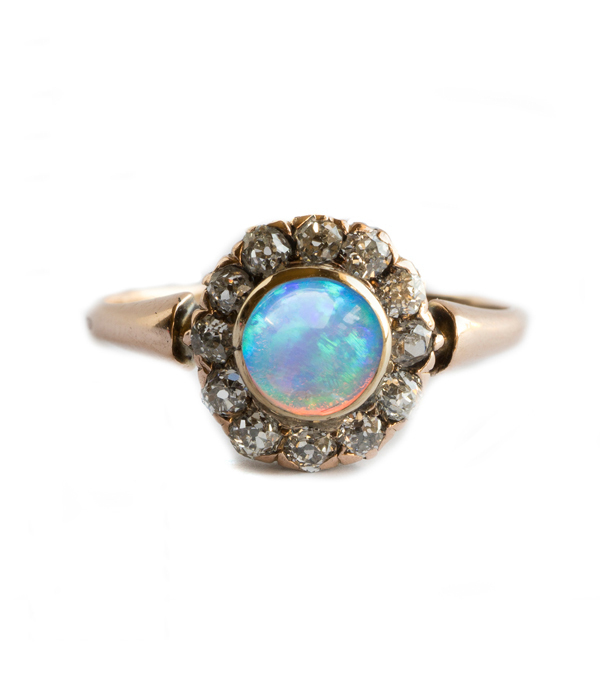 We love opal for its romanticized history and its beauty alike! 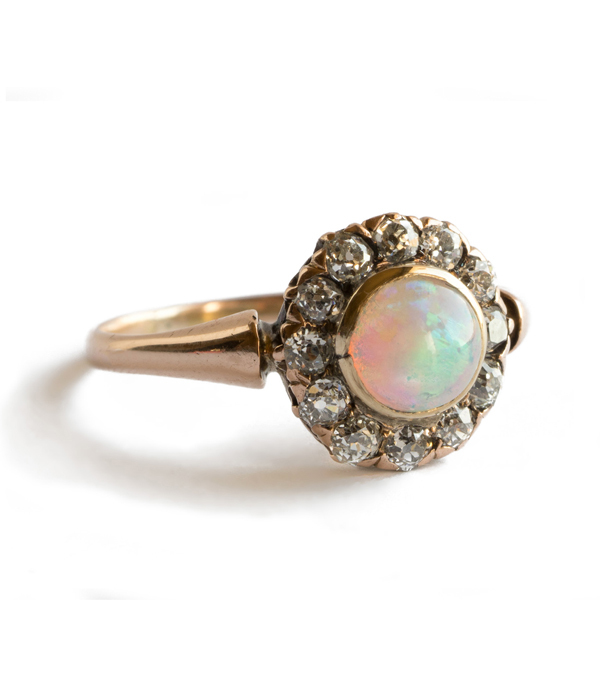 This adorable Victorian opal cluster ring (c. 1880) features one bezel set opal (approx. 0.30ct) gleaming with red, blue and green flashes, surrounded by a row of 12 Old Mine Cut diamonds (approx. 0.50 ctw, H color, VS1). Set in a 14K rosy gold, this original vintage ring makes a beautiful statement ring or unique engagement ring for an alternative bride. Please note, as opal is considered somewhat fragile for everyday use, this piece should be worn with care. Categories: Victorian Jewelry, Vintage Rings.